Congratulations to the lucky first prize winner, Graeme E. from Carnegie, VIC. 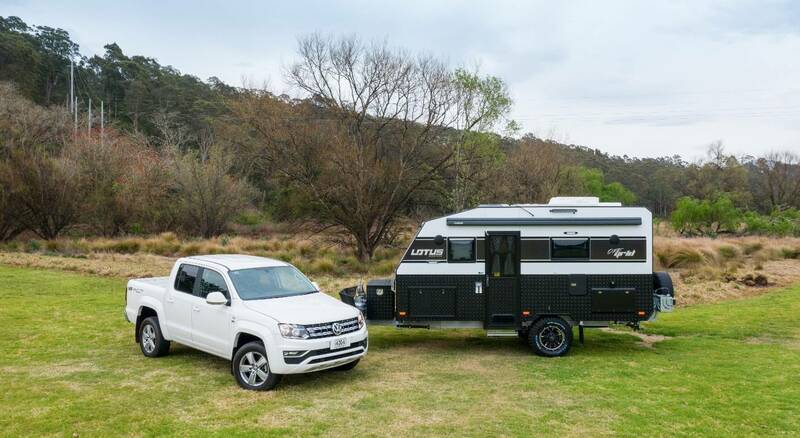 Graeme and his wife Vicki have won a brand new Lotus Caravans 19’ Off-Grid plus other prizes including a Volkswagen Amarok Ultimate V6, $5,000 ARB Voucher, $1,000 Club 4x4 voucher and Pat Callinan’s 4X4 Adventures Pack. Listen to the audio of the phone call from Pat with this life changing news below. We can't wait to meet Graeme and Vicki and show them their new 19' Off Grid.